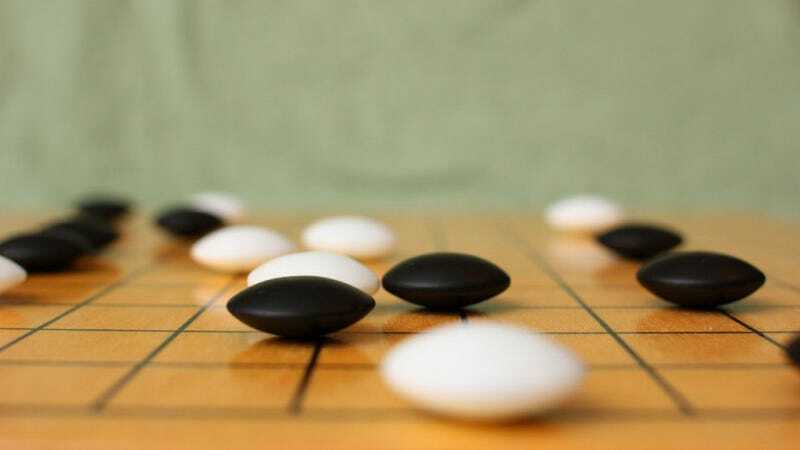 Artificial intelligence researchers at Google DeepMind are celebrating after reaching a major breakthrough that’s been pursued for more than 20 years: The team taught a computer program the ancient game of Go, which has long been considered the most challenging game for an an artificial intelligence to learn. Not only can the team’s program play Go, it’s actually very good at it. The computer program AlphaGo was developed by Google DeepMind specifically with the task of beating professional human players in the ancient game. The group challenged the three-time European Go Champion Fan Hui to a series of matches, and for the first time ever, the software was able to beat a professional player in all five of the games played on a full-sized board. The team announced the breakthrough in a Nature article published today. The history of Go dates back to ancient China, some 2,500 years ago. It’s played by placing black or white stones on a 19 x 19 grid. When a player surrounds any of his opponents pieces, they’re captured. The goal of the game is to control at least 50 percent of the board. The reason that it’s so difficult for computers to play is because there is an estimated 10 to the power of 700 possible variations of the game. By comparison, chess only has 10 to the power of 60 possible scenarios. The breakthrough achieved by Google DeepMind is important for several reasons: Broadly speaking, it will impact the way that computers are able to search for a sequence of actions. That will help AI programs get from one place to another and navigate through logic. To the average person, that can mean a lot of different things because they’re often asking an artificial intelligence to get from one place to another by reasoning through a set of logic equations. More specifically, things like facial-recognition processing and predictive search are the most easy advances to point to. Both Facebook and Google trade on the very ability to analyze data better than other companies, and ultimately, to create and sell products based on that analysis. The data is, to be more specific, who you are and everything you do. The Sedol vs. AlphaGo match will have many similarities to the famous 1996 chess match between chess grandmaster Gary Kasparov and IBM’s Deep Blue computer. In that match, IBM’s Deep Blue artificial intelligence was the first to defeat a professional chess grandmaster. In the upcoming match between Sedol and AlphaGo, DeepMind’s artificial intelligence will have to sort through a much larger decision tree than IBM’s Deep Blue in addition to sorting through a higher number of moves. Keep going at it! This is some fun competition.